Shop No. 20870, Street, Floor2, Gate No., MarketYiwu Production Material Market. 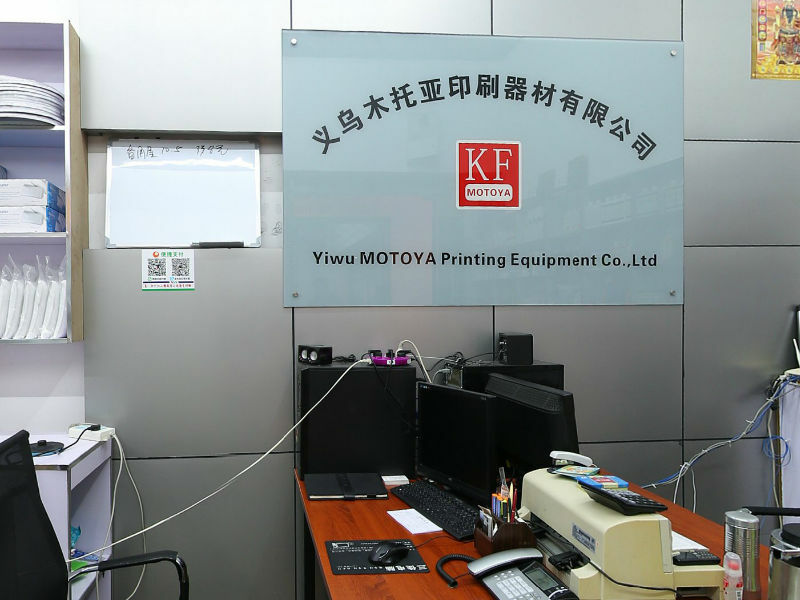 Introduction： The company direct (self export) all kinds of printing equipment. Produced "KF" series of products: fountain solution, washing water, UV cleaning agent, rubber blanket recovery cleaning agent, senior water and cleaning agent, the PS version of cleaning liquid, PS version of the protection glue. Cherry, Piao powder series, ordinary, UV blanket series, our company working to high-quality products and services to our customers and look forward to working with more domestic and foreign merchants friendly cooperation and common development.